College Coach? Click here to view all of Paiten's information. I hope to not just have a great athletic career at a collegiate level, but also further my education. I personally believe that at the right college, I could grow; not just physically in the game of volleyball, but also in the mental aspect of life. 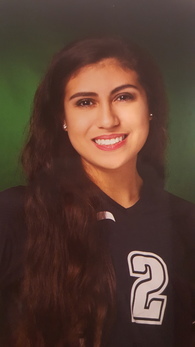 Throughout my many years of playing club volleyball at a junior level, I believe what has always set me apart from the rest is my pursuit to be a better player, hardworking personality, and coach-able attitude. This hardworking personality and coach-able attitude also translates over to my academic abilities; showing that I am willing and able to succeed with schoolwork alongside my athletic career.